I have been critical of the very distasteful rantings of the late Bobby Fischer and have declined to write about him for the most part, although his games remain a remarkable piece of chess beauty. Hans Ree takes us back to a more pleasant time, in his current Dutch Treat column at ChessCafe. The year is 1968 and the story Hans writes about takes place in, of all places, Netanya, Israel. Fischer is playing in a tournament there, but Ree says that "For him, Netanya was a chess vacation." There was concern that Fischer might cause trouble with his antics, but Ree claims that "In Netanya, Bobby was kindness itself." 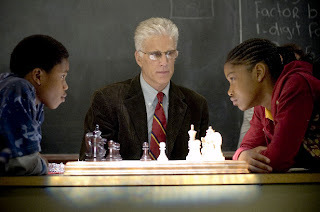 It's a light piece but it's nice to bring back some fleeting memories of a more pleasant Bobby Fischer, the Bobby Fischer we wanted to believe in. Macauley Peterson has produced a lengthy interview with the animated Irina Krush, at Chess Life Online. It's actually more a case of Irina discussing her performance at the Corus tournament rather than an interview, but it's entertaining, and she discusses a smothered mate she almost delivered at the event. It struck me that I've read much by and about Irina, but had never seen her on video or heard her discuss her play. Thanks to Macauley and Irina for this video. One of the best writers I've come across is Michael Weinreb. A sportswriter who readily admits he knew little about chess, he produced the intensively researched and wonderfully written book The Kings of New York (the new paperback version is titled Game of Kings). 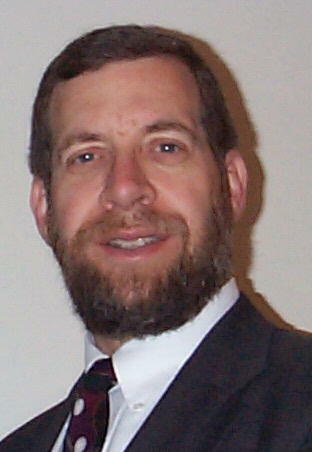 For his efforts, he won the 2007 Quill Award for the best sports book of the year. You can see his acceptance speech here. 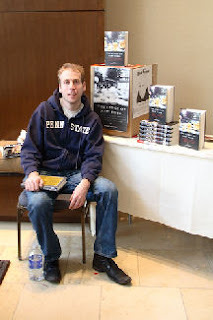 Weinreb's website lists multiple reviews of the book; my review can be found in the ChessCafe archives, and my interview of Weinreb, Edward R. Murrow coach Eliot Weiss, rival coach Robby Adamson, and players IM Alex Lenderman and IM Sal Bercys, is available in my April 2007 Scholastic Chess ChessCafe column. Weinreb is a frequent contributor to www.espn.com and recently wrote an article there titled "Bobby Fischer, Bill Belichik Share Something in Common." It makes interesting reading for either a chess fan or a sports fan, and especially so if you're both. I had a pleasant surprise when visiting my local Sam's Club today. I happened to be passing by an aisle of DVDs when I noticed a familiar name - Knights of the South Bronx, the 2005 story of the New York inner city school coached by David MacEnulty that ultimately won national titles. 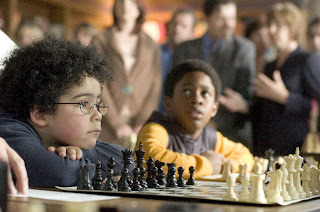 My January 2006 ChessCafe Scholastic Chess column covered the film. I was surprised to see the DVD for sale because I wasn't aware it was even available on DVD. As far as I knew, when A&E aired it a couple years back, that was the end of its availability. If you haven't seen it, run out and get it. It's a great movie, starring Ted Danson, with MacEnulty making a cameo appearance. And for only $8.38, it's a steal. My latest review is online for about the next week, at ChessCafe. It covers the excellent PowerPlay5:Pawns DVD by GM Daniel King. My review is also permanently archived here. I have reviewed his DVDs PowerPlay3:Pawn Storm and PowerPlay4:Start Right, and in each of these, I have found King to be very entertaining and informative. According to an Associated Press report at www.msnbc, former world champion Bobby Fischer died at a Reykjavik (Iceland) hospital on Thursday of an unspecified cause. I'm sure we'll be hearing quite a bit in coming days, celebrating his life and career. Folks, don't idolize this man - he was mentally quite ill. Enjoy his games, revel over their beauty, but don't idolize the person. "Grandmaster Secrets: Winning Quickly at Chess is a game compilation of “125 of the finest short decisive grandmaster games of the modern era.” As Nunn notes in his preface, this book is actually an updated edition of his 1999 book 101 Brilliant Chess Miniatures. Nunn has updated his commentary from the original edition, making corrections as necessary. This new edition also has an additional twenty-four games, as well as an extensive sixteen page introduction, which contains another eight annotated short games." A year ago I signed up to have GoDaddy.com host a website for me, which I never actually used. My fault. But then they called two weeks ago to ask if I wanted to renew another years' worth of website hosting for the site. I told them I never used it and was NOT interested in continuing the site. So what happens? They charge my account anyway. I just can't believe this behavior. Not only am I out the $43.02 they charged me, I'm out an additional $35 overdraft fee my stupid bank charged because I didn't have the funds in that account for this fee which I was not expecting. I called GoDaddy.com at (480) 505-8855 to complain. I was told there would be an approximate two minute wait. After 11 minutes, someone came on and said everything would be taken care of. When I asked to verify that both the $43.02 unwarranted fee and the $35 overdraft fee would be refunded, I was told that only the $43.02 would be taken care of. I asked who I can speak to in order to resolve this issue and was told "I wouldn't know. This is all I can do." I'll call my bank and complain, and anyone else I can complain to as well. In the meantime, if any of you are using GoDaddy to host a website, beware of these practices, and if you're considering which service to use, you may want to take my experience into account. Is my bad experience with them typical of how they conduct business? I don't know, but I'll never use them again. This is an excellent follow-up to Giddins’ 50 Essential Chess Lessons from Gambit, published in 2006. It does not include “the essential lessons” notes at the end of each game, as in the earlier book, but it does continue Giddins’ easy writing style that emphasizes teaching major concepts with textual explanations rather than via lengthy mind-numbing variations. Giddins is a FIDE Master who understands the subtle elements that separate class players from master players. The review is also permanently archived here. 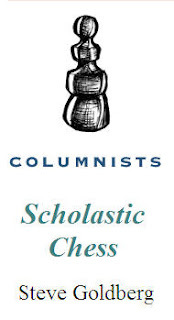 My latest Scholastic Chess column at ChessCafe is now online. I've covered a variety of the 2007 year-end events. Abby Marshall contributed an annotated game from the World Youth Chess Championships, and you can read about the phenomenal Ray Robson streaking to his IM-elect title in a span of just six weeks! There is also the unbelievable story of FIDE officials forcing a 14-year-old out of bed to finish a game at midnight. It begs the question - who has more sense, the kids or the adults? 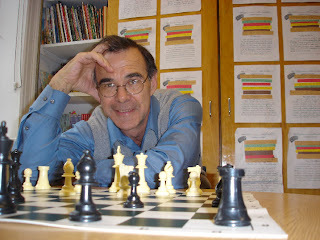 I've been swamped, but watch for my upcoming January 2008 Scholastic Chess ChessCafe column. 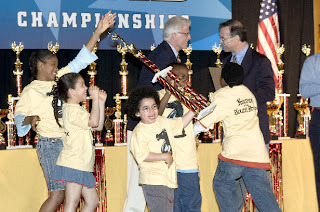 It will cover items from the 2007 World Youth Chess Championship, the 2007 National K-12/Collegiate ("Grade Nationals") tournament, the 6th FIDE North America Invitational, the UTD GM Invitational, and the players who made the USCF All America team. You'll also read about an unbelievable incident at the World Youth Chess Championships, as well as about Ray Robson's amazing six-week trek to the IM title. The article should go online late next Tuesday evening.